American Tim Smyczek began his run at the 2016 BB&T Atlanta Open with a win over Lucky Loser, Thiago Monteiro of Brazil 5-7, 7-6(5), 6-3. Smyczek took the lead in the first set with a break at 4-4. However, it was Monteiro answered with a break at 5-4 followed by a strong hold and another break to take the set point. The second set began with both players trading holds until Smyczek hit a series of overheads to break and go ahead 5-4. The momentum changed as Smyczek hit two double faults to give the Brazilian a break and the lead at 6-5. Smyczek forced a tiebreaker and charged the net to take command in the tiebreaker. The third set was all about confidence as the Milwaukee native received a boost for the final set. Smyczek broke early to go up 2-0 and never gave up that advantage to close out the match. Smyczek even unleashed a 122 mph ace in the deciding set and finished with 10 aces for the match. Temperatures topped 120 degrees on the court during Smyczek's match. 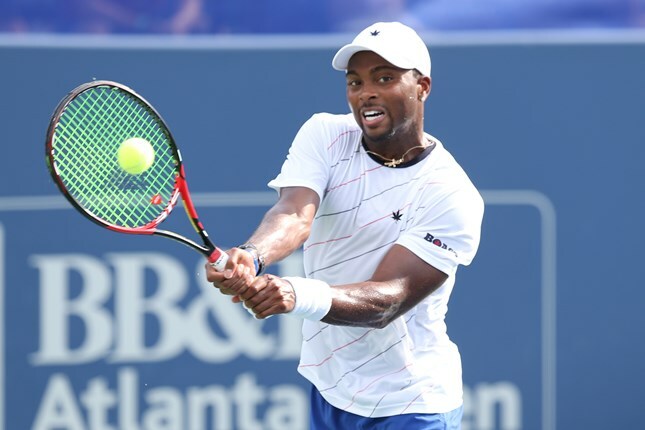 Atlanta resident, Donald Young ended a drought at the BB&T Atlanta Open with a hard fought 3-6, 7-6 (10), 7-5 win over Austin Krajicek on Monday in first round action. Young saved two match points in the second set and came back from being down a break in the third to advance to second round play. The match between the two Americans lasted 2 hours and 33 minutes.